Unsecured, dropped or unattended trailers at the loading dock are prime targets for cargo thieves. Stop cargo theft before it is too late. Any unsecured, dropped or unattended trailer at the loading dock is a prime target for cargo thieves. 1. 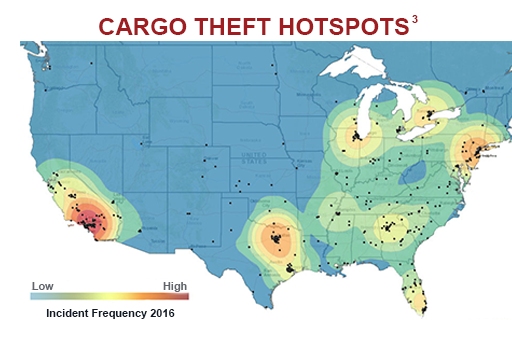 Know your risks: Cargo theft may have been an opportunistic crime in the past, but it has recently become much more organized. Read more. » Rite-Hite has a full line of vehicle restraints to match your specific needs. Each one adds an additional level of security to your dock and is unmatched by any other line of restraints. » Dok-Loks can be interfaced with your facility security system. » Dok-Loks are physical and visual deterrents for cargo thieves. Help prevent cargo theft before it is too late. Contact your local Rite-Hite representative today. Improve safety and secure cargo with a vehicle restraint. 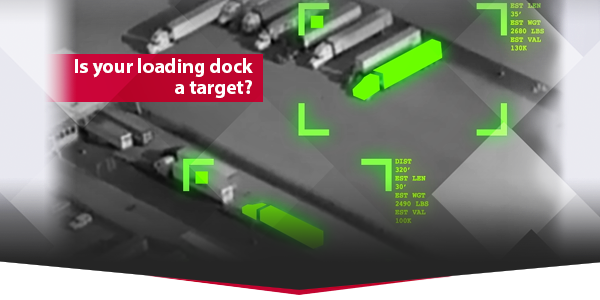 Dok-Loks offer the highest level of protection at the loading dock. Learn more. Once a trailer is secured at the loading dock, the next step is linking the gap between the loading dock floor and the trailer bed. A vertical-storing dock leveler is considered the gold standard for maintaining cold chain integrity, environmental control, and security. Learn more. The Dok-Commander consolidates all your dock controls into one system. Program your own sequence of operations and connect to your facility security system. Optional Lok-Vu (NEW) features an outside camera with inside display for instant trailer presence confirmation. Watch video. The Need: Temporary straps were being used to protect the drop off at this new loading dock. 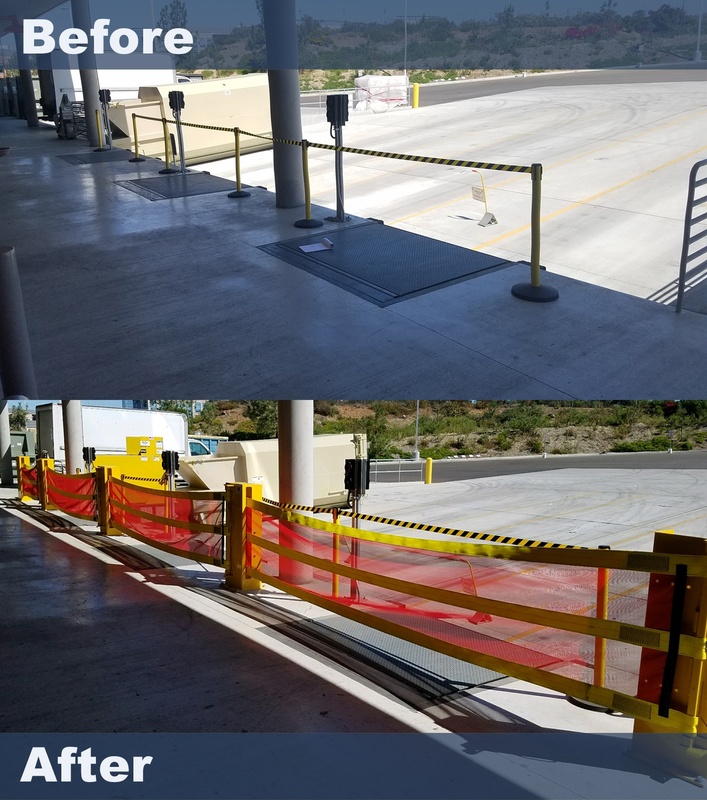 The plan was to install chains for a permanent solution but this customer first met with a Rite-Hite representative to discuss other safety barrier options. The Solution: Dok-Guardians with Common Members were recommended and ultimately installed for this customer. This highly visible safety barrier helps prevent fork trucks, pallet jacks and pedestrians from falling off the dangerous loading dock edge and operates manually when retracting or fitting across dock openings. After this installation, the customer also replaced dock chains with Dok-Guardians at all their facilities. See our full line of loading dock safety barriers.